CASHFLOW® is an exciting, interactive board game designed to help you learn the foundations of personal finance management. This fun, fast-paced educational board game gives you the opportunity to make simulated real-life decisions with real-life consequences. A New York Times article in 2004 quoted that the game is helping players figure out ways to pursue their dreams by earning income beyond their 9-to-5 jobs. The game will MIRROR how you are in real life. By the end of the game you will discover a side of you which was previously only a blind spot. Your thought patterns, your belief systems, your money habits and the way your mind has become conditioned, all of these get reflected in the way you play the game. THE SINGLE BIGGEST ADVANTAGE OF PLAYING THIS BOARD GAME is that because you will be using PLAY money, you can experiment with it as much as you want while making your investments. Even if you make mistakes (like most players do), you will learn from them and become smarter without the risk of losing REAL money. On the contrary, experimenting with money in real life can prove costly! The CASHFLOW® game was designed in 1996 by wealth guru Robert Kiyosaki, author of the bestselling book 'Rich Dad, Poor Dad’, considered the No 1 book on personal finance of all time with more than 30 million copies sold. This is an educational board game session. It is NOT a Network Marketing session or a seminar to teach you shortcuts to get rich! Game Fees: Rs 1000 per person. Only 7 players per game. 1) You can purchase tickets using using the BOOK NOW button. If you do this, please call the organizers to get venue details and directions. 2) Tickets are also available offline. Please contact the organizers. 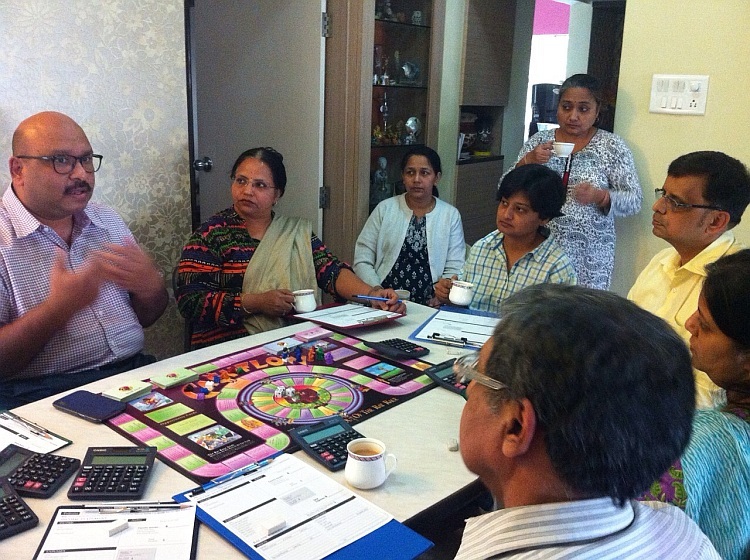 The CASHFLOW® game is being brought to Pune for the first time by Life Skills Centre, Pune.